Reliving the same day again and again? Is that something good or is it something you have to fear? Movies show us different perspectives. The most of them spread the message, that it can be something positive like in “Groundhog Day”, where the affected person optimizes his day until it is perfect. In this scenario, fate is the reason for the outcome and in the second you found your way, you are getting released. But what if there are people, that manipulated your memories and keep you some kind of imprisoned in a virtual reality? That is the scenario you are facing at, in “The Spectrum Retreat”. Published by “Ripstone” and developed by “Dan Smith Studios”, this adventurous strategy puzzle connects an initially confusing but later more and more irritating story. All of that happens in a world where you must solve a series of ingenious difficult colour-coded puzzles to uncover the truth about yourself. Confused? Me as well. No worries. It all clears up in the end. Let us bring some clearance behind these first impressions. 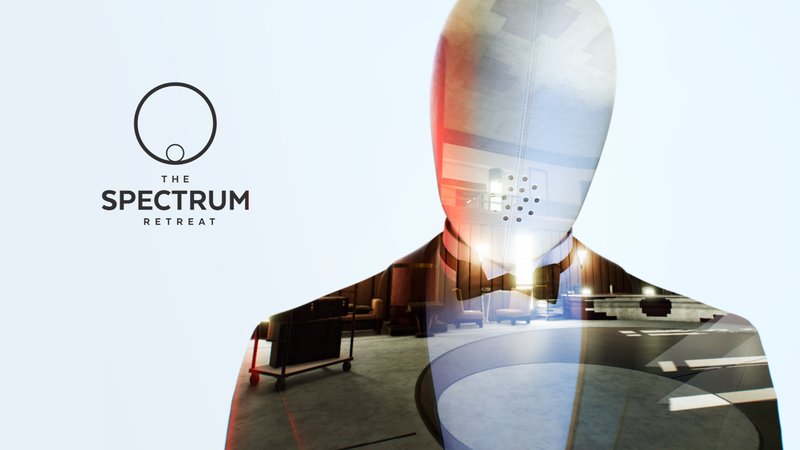 The Spectrum Retreat puts us in the role of a valued guest at the lavish Penrose Hotel, an idiosyncratic resort where mannequin-like staff anticipate every need, and nothing is as it seems. We wake up on 20th of May in 2021. We do not know our name, who we are or what we are doing in this hotel, so fortunately this morning we are getting contacted over phone by a woman who says, that we are a hostage and she wants to help us escape. By the way, this is always a great first impression for a hotel, if someone promises you to help you to escape. So… the first thing you have to do, is unfortunately not to write a bad recension on Trip Advisor for that panic-mongering, but the woman (Cooper) tells us, that we have to behave normal and follow the daily routine. That is what we do. Walking through the bright shining lobby to the restaurant to get our already prepared breakfast. On command of Cooper, we walk to the elevator to leave the first floor illegally. Because if we would just be able to reach the rooftop of the Penrose Hotel, it would be possible to flee. Therefore, we have to enter a control room on the second floor, which will give us the access to the third floor. But, as you could have imagined, the control room door was locked. Though, the code for the door was not hiding pretty well. In my point of view, this step could have been a bit more spectacular. Same as for the other codes on the next floors, it is just a bit too obvious. Cooper is always nearly yelling at you, where you must go or look at, or she already knows the code for any reason. Nevertheless, that is not, where the game puts its focus on. The main part begins behind the door in the “control room”. This is the point, where the 3D puzzles start. They are so called authentication tasks in the story. You have to get through or over coloured barriers, to reach the door on the other side of the room and get to the next level. All done by colour swapping. Sometimes you must find a way through different rooms and gates to reach it. No matter if you plan the whole way or go in for good luck. Both can be successful. Admittedly it can happen, that you swap one colour wrong and you have to restart the level. So, like always: Better think before you act. Puzzle stress on its finest. 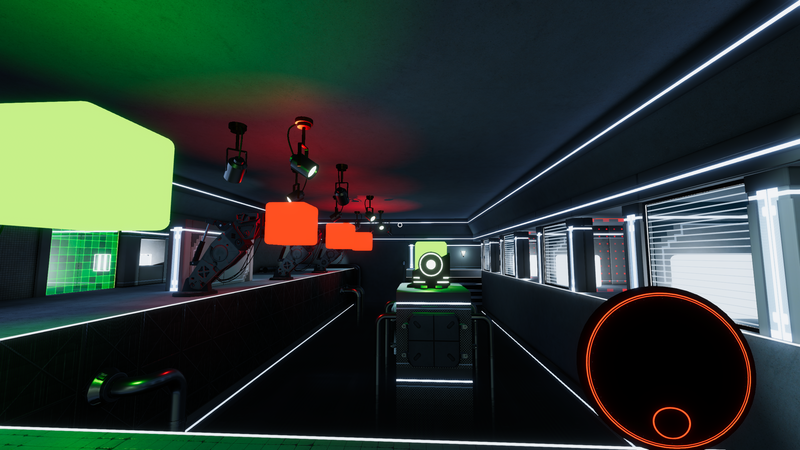 All this is getting more and more difficult, when you have to teleport yourself to the other side of the room in later levels or use pads on the ground for gravity shifting, so you can pass the obstacle. Especially this part is going to confuse you in some way. You can be happy if you are not expecting the real ground to turn around after a long hour of just moving in this dimension, when taking a break from playing. 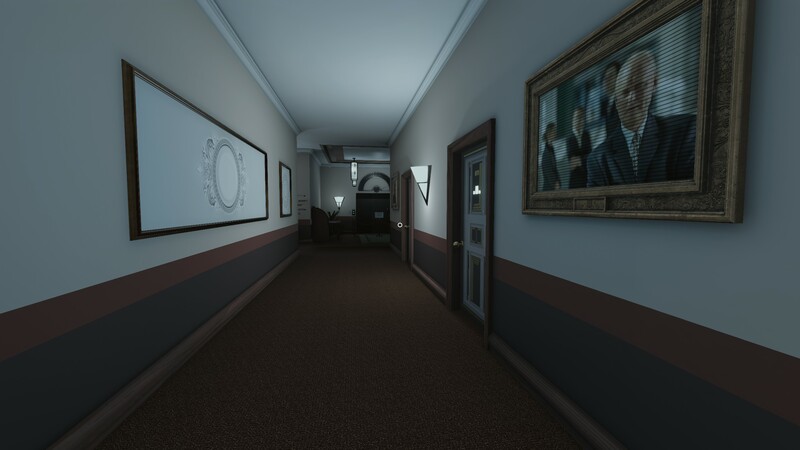 Once you have mastered the tasks and finally reached the last door, you are back in the hotel hallways. You are now able to go to the next floor, but you are needed to go to sleep first, to keep the daily routine and not attract attention. From now on, on the next day you are waking up, nothing will be like before. Changes and memories are coming back. It is awesome, how the Devs pointed these little changes out. The memories of your character are restoring step by step. They are confusing but getting into the right order one by one. In those seconds, the player realizes and learns as fast as the game character. In my opinion a great way to show the process, how virtual and wrong added data is on the way to give way to personal memories. The flashbacks get stronger and memories come back. The storyline at all, is quite thin but visually very good implemented. 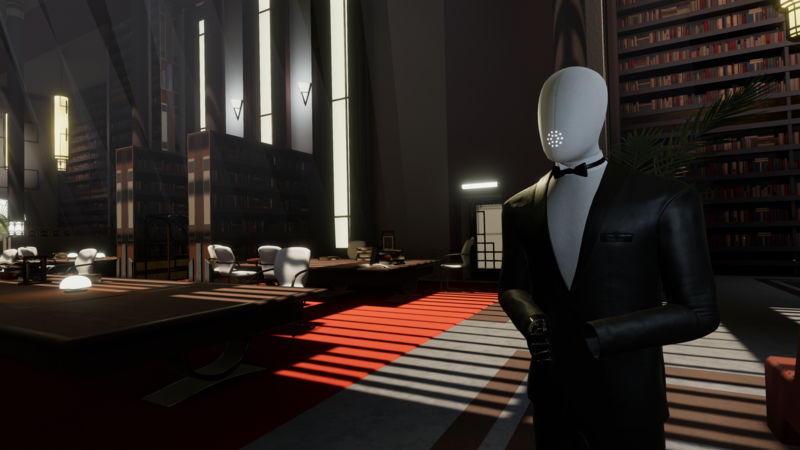 The guest is a non-speaking person and the whole game is more a monologue, led by Cooper. However, this is nothing bad. I was surprised about her realistic language habit, which feels like there is actually another real person talking to you. Impressive and a unique thing in games! Furthermore, the hotel is very quiet and background music is quite decent. I guess it was more the visual atmosphere, the Devs wanted to put the main focus on. Because… Damn, they are really good. 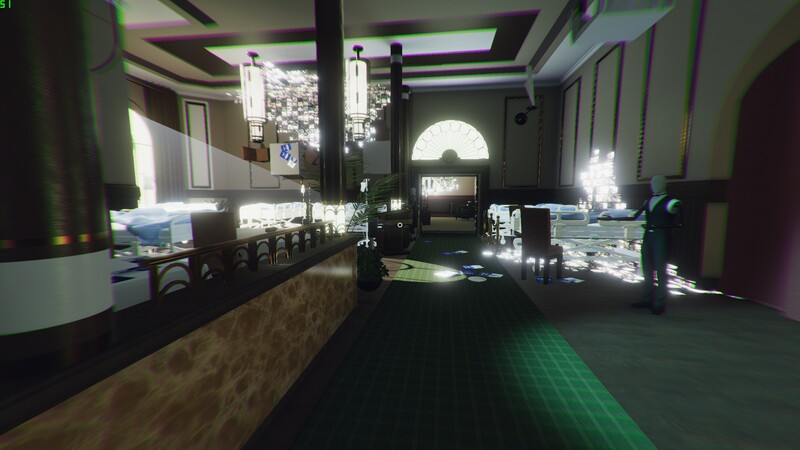 For me probably the best quality of light effects, you could ever expect of an Indie-game. It took me nearly 5 hours, to get through the whole hotel, but there are two possible story endings. So, it is definitely worth to play it more than once. If I have convinced you, then go and play it and if not, then do it anyway. You won’t regret!